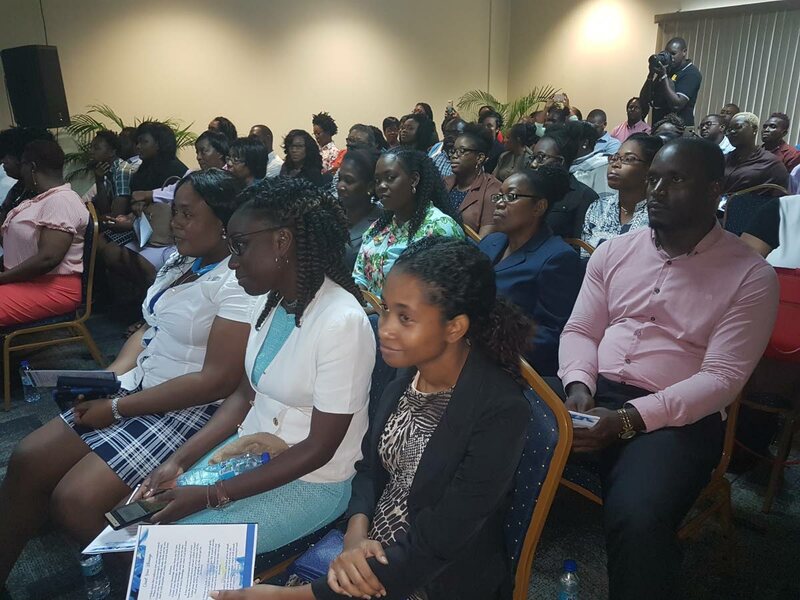 A cross section of attendees at Mondays Thanksgiving Service at the Victor E Bruce Financial Complex in Scarborough to start Finance Week. This was the advice from Tobago House of Assembly (THA) acting Chief Secretary and Secretary of Finance Joel Jack on Monday at a Thanksgiving Service at the Victor E Bruce Financial Complex in Scarborough to start Finance Week. Noting that the theme event was “For Such a Time as This”, Jack said this was an apt choice given the economic challenges currently facing Trinidad and Tobago. “When we look at where we are now and the economic challenges that are now confronting us and the solution to those challenges and sometimes the road ahead seems daunting… if I remember correctly, I remember we have been down this road before,” he said. He called on his audience to reflect on the past to serve as lessons for the present and future. “If we continue to forget our past and the struggles and our issues and the way that we have travelled along the development trajectory, we might more than likely forget the struggles and the triumphs, and we might make serious mistakes on the road ahead,” he said. “But for change to happen in these challenging times, I believe that it must begin with each of us. It must begin with the man in the mirror, we must become the agents of change that we desire in the community and the change must begin with me,” he said. Finance Week, which began yesterday, is focussing on the economic outlook for Trinidad and Tobago with emphasis on Prescriptions for Tobago. Reply to "Jack: Be agents of change to deal with economic challenges"